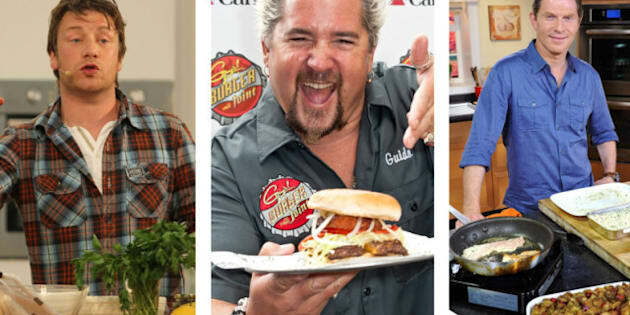 This year may have shown us that insects can be meals and South Korea is a truly exciting food destination, but one thing that didn't change in 2011 was our appetite for celebrity chefs. The usual suspects were recently rated on their PeekScore -- that is, their online presence according to number of followers on Twitter and Facebook, blogging activity, prominence in the news and a whole host of other factors. In this U.S.-centric list, it's not too shocking to see who came out on top. But the surprises come further down the list, where favourites mingle with non-household names -- or don't factor in at all. While online presence may not be speaking much to culinary capabilities, it does help us see just who was tops in popularity in 2011. Which of your favourite chefs was left off the list? Let us know below, or on Twitter at @HuffPostCaLiv.